Retinol is Vitamin A. Vitamin A stimulates everything, it is the powerhouse of all your skin cells and wakes everything up. Retinol is a derivative of Vitamin A and is very active. Retinol is becoming much more popular as it is so anti ageing. Your collagen breaks down once you hit a certain age and the environment also breaks down your skin cells so this is reconstruction from the base layer. The base layer is where all the ingredients need to be for any product to work. What sets this product apart from others, is that it is micronised. When it is micronised, it is small enough to seep in. Retinol is a big particle and it not small enough to seep into our pores, so unless it is micronised, it cannot go any work past the top layer of our skin. So always buy a Micro Retinol product. We offer a cleanser, moisturiser, serum & toner. 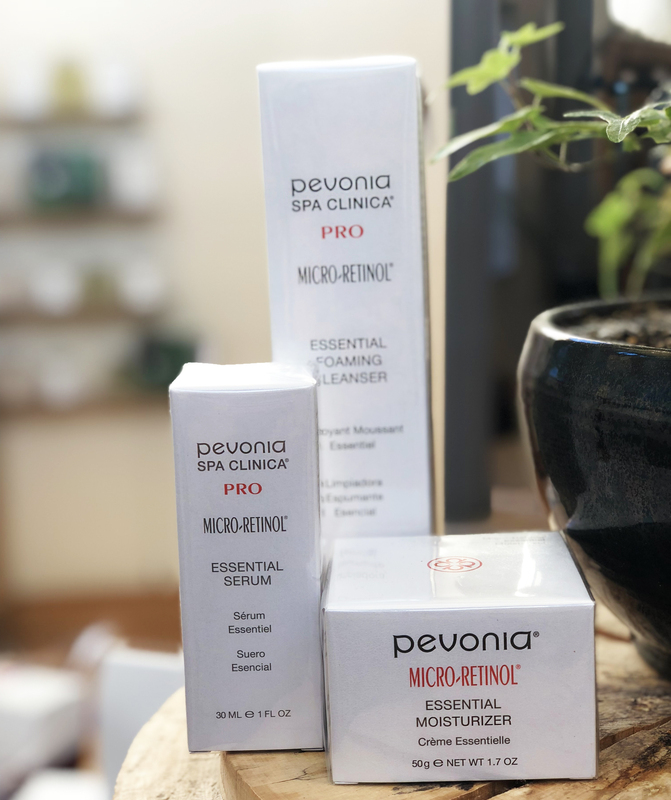 Once you have a Micro Retinol peel, you would introduce one product at a time preferably the cleanser, the lotion, the moisturiser and the serum last as it has the most activity rate. This range contains lemon which is antibacterial and also great for reconstruction. We use Phyto Elite Stem Cells in Monart. When you see Phyto Elite, this means plant. The ingredients work in your dermis & epidermis and they strengthen and increase density in the skin. These products are more age reversal, so more for an older skin type. We have a cream, serum, cleanser and lotion. 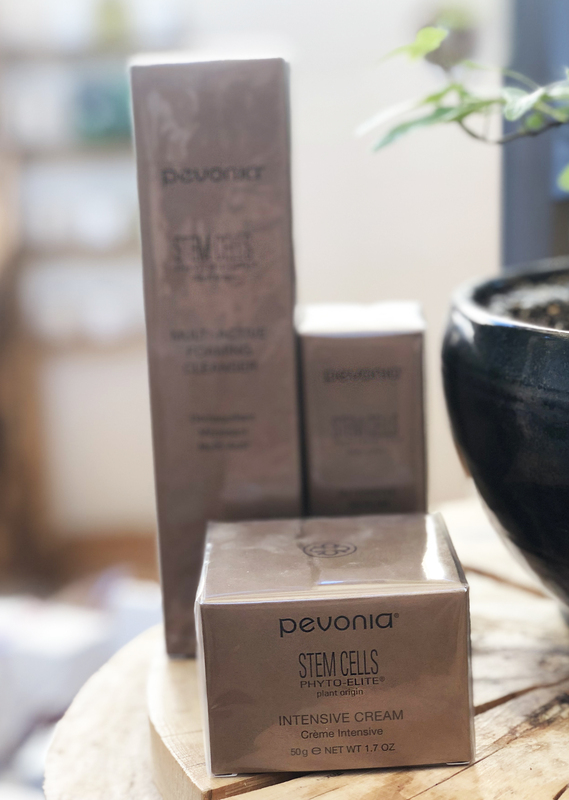 Stem cells have the ability to replenish and do not stop working but you do need to maintain a level of plant stem cells in your skin to keep on working and it has the ability to mimic another cell. Lumafirm is for lighting, brightening, toning & tightening the skin. This range is for anyone that is concerned with pigmentation or dull, dry dehydrated skin. It is extremely hydrating and this is needed for strength. The Lumablanc is a night time only cream as there is no SPF in it. It is the only night cream we offer and an intensive lightening treatment. This would particularly apply to anyone who suffers from dark, sun damaged spots on their skin. 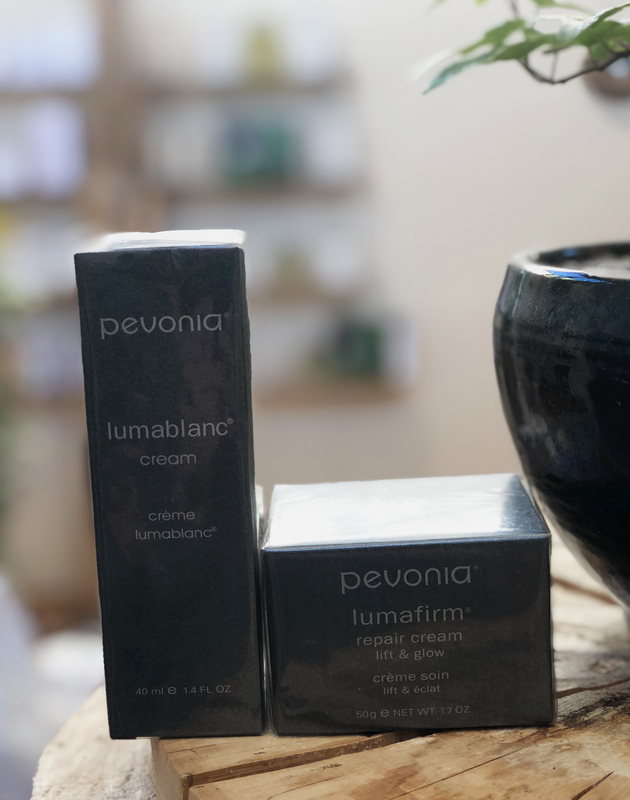 The Lumafirm Day Cream does contain SPF and they would both compliment each other and you can see results very quickly when used together. The eye contour itself actually lifts the brow bone so you have to be careful where you apply this. It is amazing and as soon as you apply it, you can feel the skin around your eyes tightening and it dries very quickly. This product range is split into three types; Collagen, Elastin and the Micro pores. It’s all about Collagen, all products contain collagen hyaluronic acid so it is suitable for anyone who is 25 years of age or over as you are putting back in ingredients that you start to lose with age. When you reach 25, you’re collagen and elastin starts to break down and your hyaluronic acid doesn’t produce as much. Kelly says that hydrating the skin is so important to strengthen your fibres in the skin. Collagen and elastin in these products will help plump and tighten the skin. You would use the micro pores skin care range for all skin types but particularly oily skin as it is used to mattify the skin, it does not necessarily reduce the amount of oil that is being produced in the skin. If you produce more oil in your skin, the oil will stretch the skin so this range strengthens the wall of the capillary as well as hydrating and brightening the skin. The Collagen range is for all skin types, not so much oily skin, more for dry & dehydrated skin as it is used for plumping. You would use the intensifier at night time as there is only a day cream available in this range. You can mix up these products as you wish and the Elastin range can be used alongside the Collagen products. Book the perfect facial for you. Click here to peruse our amazing range of treatments in Monart. Discover More about Pevonia Botanica by clicking here.